As much as I prefer to play with yarns and fabric, I find that if I don’t set aside time to learn the popular advances in the internet/tech world, I will be left behind and become that cranky curmudgeon who complains about all those ‘new fangled’ whosawhatsits. So here I am, slowly, step by step, playing around with my WordPress Website. You will see a few successful changes and you will see quite a few Ooops! that I will have to diligently research to figure out how to fix. At the moment I have no idea where my “home” page went and why are my blog posts are on both the front page and on the blog page?? I appreciate everyone’s patience while I learn, maybe there will be a good laugh in there too :) Off to figure out thecurrent posting issue! 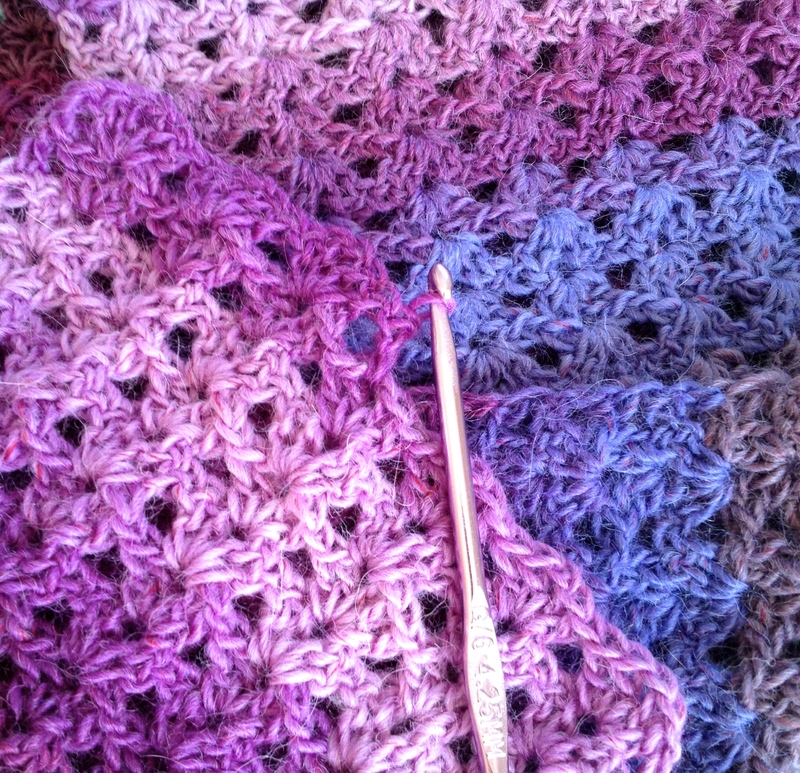 When I get too frustrated, I grab a bit of yarn and destress a few more rows into my Purple Baby Alpaca Scarf. At this rate, I’ll be done soon! What are you hoping to learn in 2014?